Archery is a skill of using bow and arrow. Person proficient in this skill propels arrow with a bow in an attempt to hit a target with an arrow. Since the earliest days archery has been used for hunting and combat while today’s archery is a competitive sport and recreational activity. It is also used in hunt but rarely. We cannot deny archery importance as a part of the history of humanity. 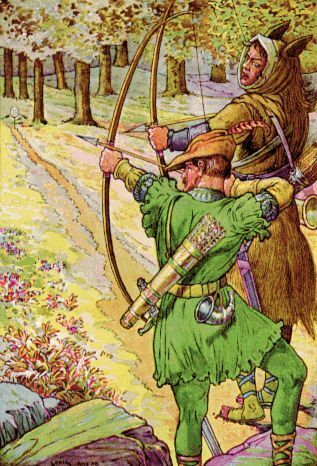 Many became famous because they were good archers and their names are still remembered today. Here you can find many interesting archery facts. Armies of many civilizations relied on their archery, foot or mounted. Those that had better bows and arrows would often took the victory from their enemy and expand their empires. That is why bows and arrows are improved since the first day. For a job - a tool. Different arrows have different uses and it is important to use them accordingly. Broadhead is a bad choice for hunting rabbits while judo points won’t stop a deer or a boar. That is why we have so many arrows and bows. Oldest found stone points for arrows were made in Africa about 64,000 years ago. Oldest bows didn’t survive to this day but major thought is that they were invented by the late Paleolithic or early Mesolithic, some 10,000 years ago. Arrows found from that time had shallow grooves on the base which indicates that they were shot from a bow. Oldest found bows have age of 8,000 years and come from Holmegård swamp in Denmark where they were found in the 1940s. At first, arrows were made from wood in a shape of a pointed shaft and later stone points were used. 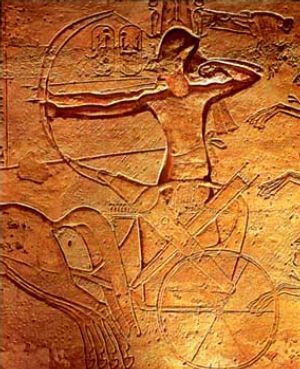 Egyptian culture knew about bow and arrows since even before dynasties appeared. Archery came to the Americas via Alaska some 8,000 years ago. Slowly, archery became important military and hunting skill across the world. With it mounted archery became a characteristic feature of Eurasian nomad cultures and a one of the major reasons of their military success. Ancient civilizations also had large numbers of archers in their armies. They used them against massed formations of infantry and cavalry. When the firearms started appearing, archery as a skill started to decline. 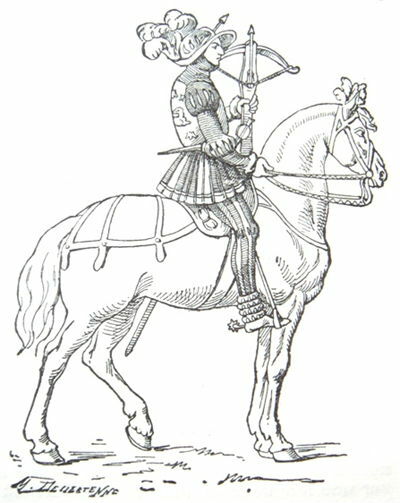 Early firearms were very inferior in rate-of-fire in relation to bow and arrow, and could be rarely used in wet weather, but they had a longer effective range, greater penetration, and were tactically superior. Soldiers also needed less training to use a gun than to use a bow and arrow. Highly trained archers became, in time, obsolete on the battlefield but archery continued in some areas. Archery was used in Scottish Highlands during the repression that followed the decline of the Jacobite cause and by the Cherokees after the Trail of Tears in 1830s. With the ending of the Satsuma Rebellion in 1877 in Japan, some rebels started using bows and arrows. Armies of Korea and China trained archers until the transition between the 19th and 20th century. 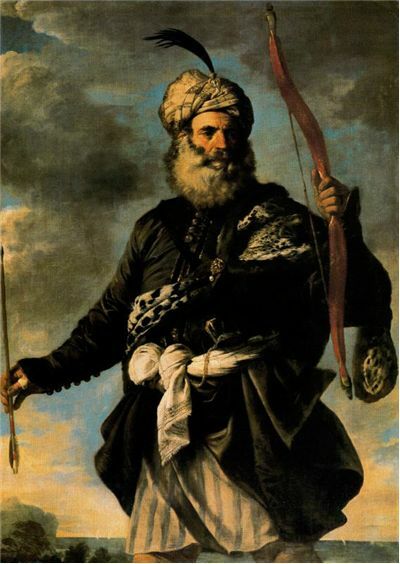 Ottoman Empire had mounted archery until the post 1826 reforms to the Ottoman Army. Archery achieved revival thanks to the upper-classes of Britain which started practicing it as a recreation between 1780 and 1840. The first recreational archery societies appeared in 1688 and some of the first were the Finsbury Archers and the Kilwinning Papingo (called like that because they had competitions in which the archers had to dislodge a wooden parrot from the top of an abbey tower.) These were early starts but the true revival began when the aristocracy became interested in archery because it reminded them of the Medieval chivalry and the earlier times. Only after the Napoleonic Wars the sport became popular among all classes. During the middle 19th century archery starts to turn from recreation to a sport. The first Grand National Archery Society meeting was held in York in 1844 and over the next decade strict rules were set which formed a basis for a sport. Its popularity changed in time relative to the popularity of other sports like croquet and tennis. Since the 1920s, professional engineers took an interest in archery and designed improved variants of bow like a recurve and compound bow. Archery is not popular today as it once was but there are still some places that practice archery as a popular competitive sport and even as a national sport.